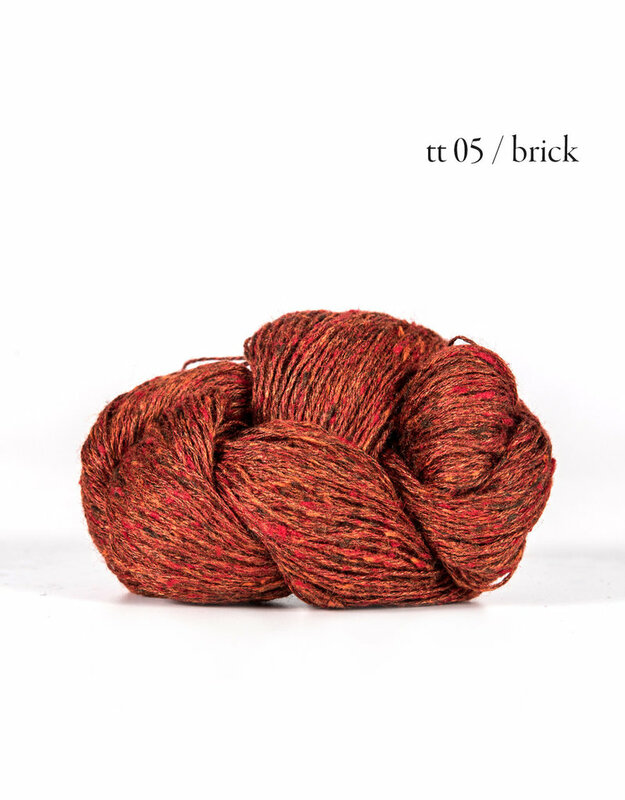 The fine, impressively marled surface characterizes this 100% tussah silk yarn. 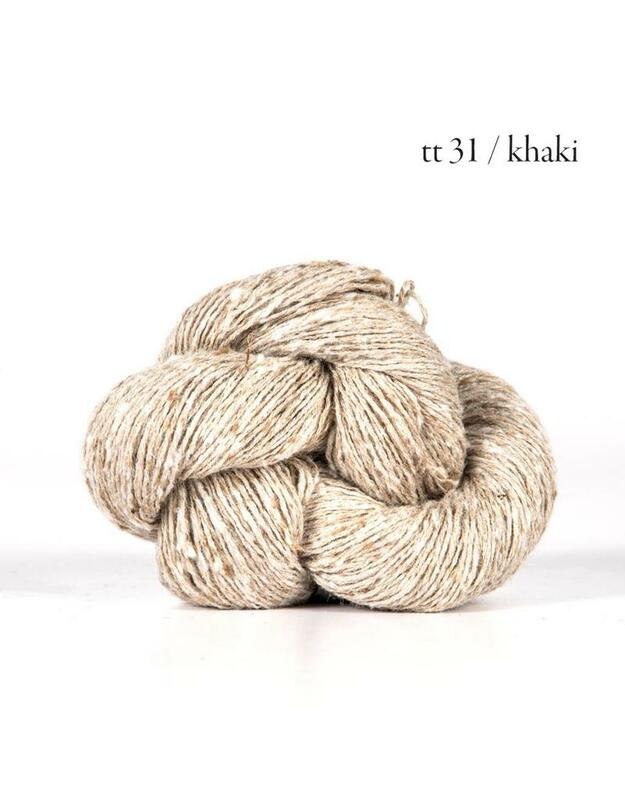 Tussah silk is know for its strength and rich golden hue, and is humanely harvested from wild silk moths. 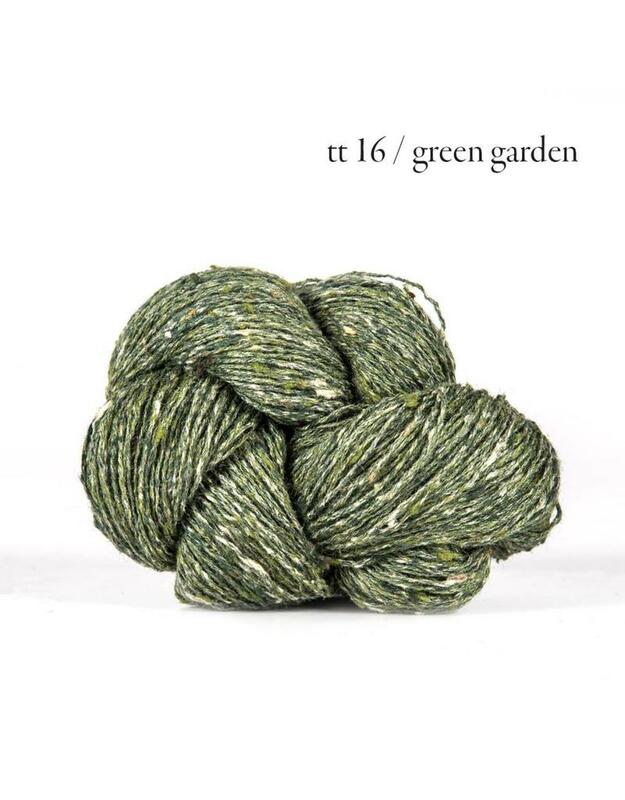 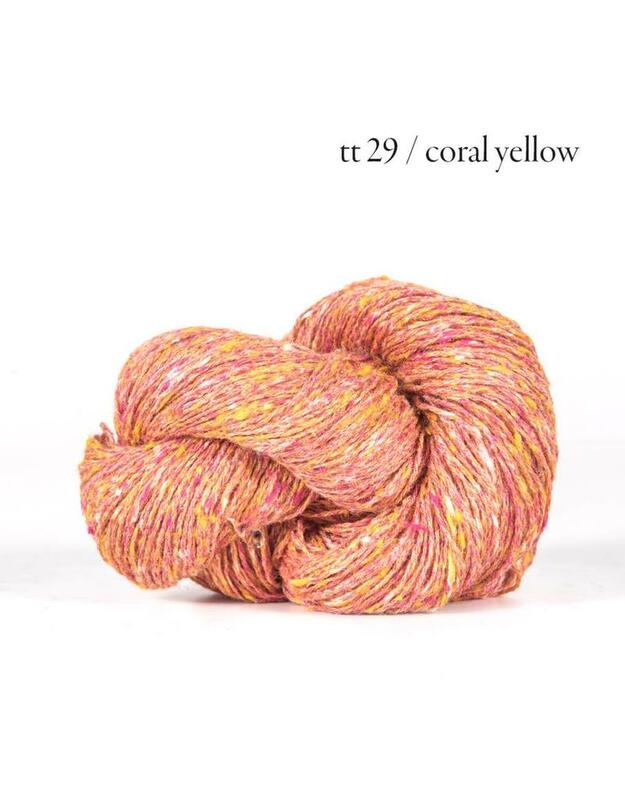 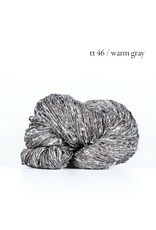 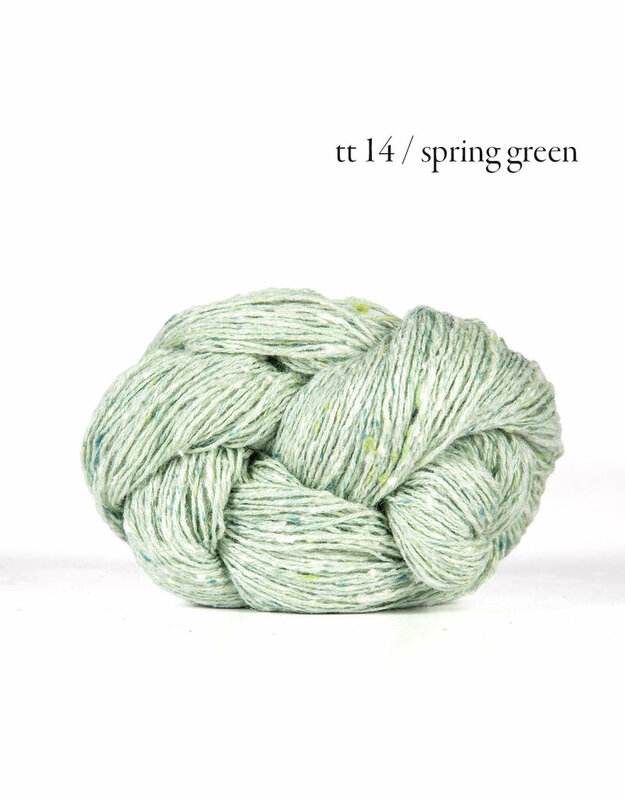 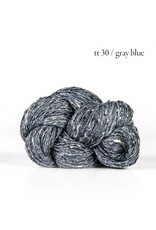 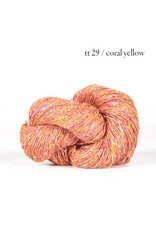 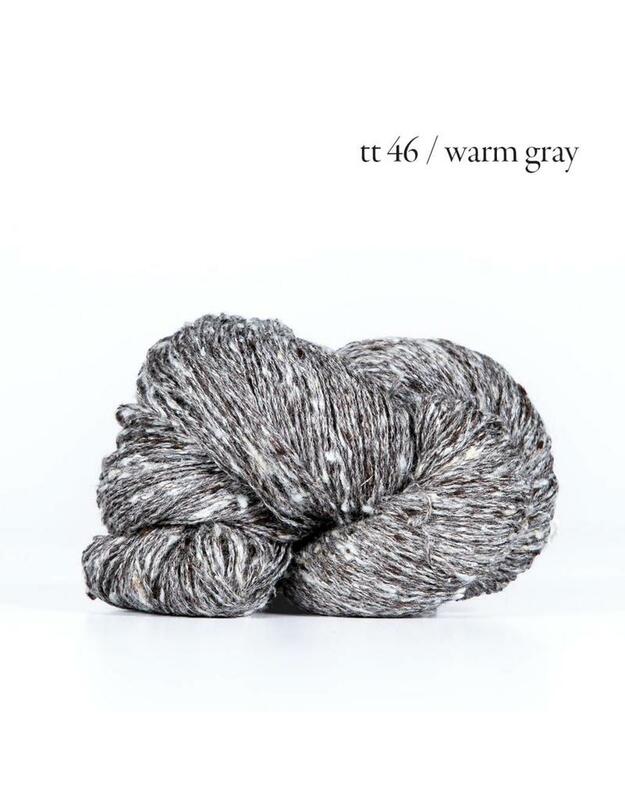 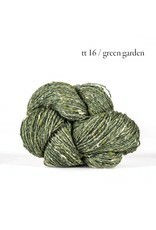 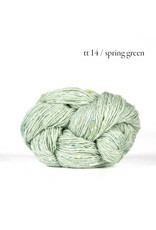 Our Tussah Tweed comes in many beautiful colors, and it is a very versatile yarn.